WASHINGTON — NAFTA negotiators parted ways for the holidays Dec. 15 and did so without completing any chapters after a week of talks. They’re now preparing to reconvene in the new year for what could be a pressure-cooker period of bargaining through early 2018. 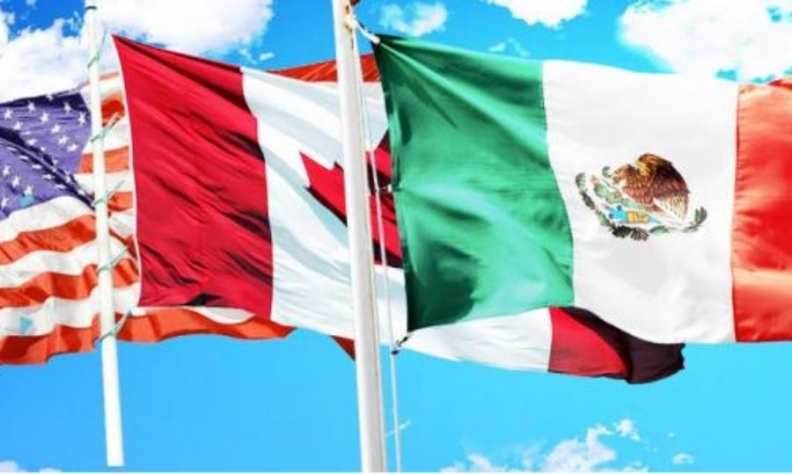 Canadian, Mexican and American negotiators left a week's worth of discussions in Washington without any agreements to announce, citing only incremental progress in scaling the tall challenges ahead. Those challenges include new statistics showing business anxiety over NAFTA; repeated threats from President Donald Trump to begin withdrawing the U.S. from the agreement; and the constraints of the political clock. The current schedule for negotiations concludes in March and it's uncertain what happens afterwards: Mexico and the U.S. will be embroiled in national election campaigns, for the presidency in Mexico and the Congress in the U.S. The countries met this week at a Washington hotel in an effort to clear away some easier issues so they might devote upcoming rounds to the hardest issues — autos, agriculture, Buy American and dispute-resolution systems. The countries reconvene Jan. 23 in Montreal. "It was like an actual trade negotiation," one Canadian official said of this week's gatherings, where only some working groups met. "[It was] trade negotiators doing hum-ho work...technical, uninteresting work that needs to get done." While no chapters closed out this week, he cited progress on telecommunications, environmental regulations and on an annex on energy performance standards. There is also emerging talk about the search for solutions to difficult problems. After initial rounds marked by acrimony, stakeholders and government officials have begun discussing various ideas for getting around impasses prompted by U.S. demands which other countries called non-starters. A key example involves auto parts. The Canadian team is weighing an idea for a new formula to calculate what constitutes a North American tariff-free vehicle. It would incorporate the overall value of a car's pricey new technologies like computer systems, automation, fuel-efficiency technology and ultra-light materials. Its logic is that such a formula would benefit cutting-edge technologies where the U.S. is a world leader and keep valuable clusters operating on the continent. But it would be more flexible than the American proposal for a U.S.-specific content requirement in cars. Canadian officials said no formal proposal has been made to the United States yet. But chief negotiator Steve Verheul told a recent gathering of parliamentarians in Ottawa that he intended to probe his U.S. peers for a better sense of their objectives on autos and what different paths might be used to arrive there. Mexico has also drawn up a counter-proposal on another controversial U.S. idea: a sunset clause that would end NAFTA in five years, unless all countries extend it. Mexico's idea, one supported by Canada, is to include a way to review the deal's progress every few years — without the automatic-cancellation trigger. A source familiar with the U.S. view says the American side sees small, potentially encouraging signs that the other parties are seeking solutions, although it's still unclear what tangible proposals might emerge. The United States has been frustrated with the other parties' failure to produce counter-offers on the hardest issues. There was a fresh indication Friday that NAFTA-related uncertainty is weighing on Canadian businesses. A report by Export Development Canada said nearly one-quarter of Canadian exporters reported feeling negatively impacted by the NAFTA negotiations and among that number, 14 per cent were delaying investments, 26 per cent were contemplating moving some operations to the United States, and 23 per cent wanted to diversify outside North America.